Create and automate labels, barcodes and more. BarTender® design and printing software enables organizations around the world to improve safety, security, efficiency and compliance by creating and automating the printing and control of labels, barcodes, RFID tags, plastic cards and more. BCC Distribution is trained and certified with BarTender printing software. Our expertise includes simple and advanced label format design, label migration, full suite of application utilization, training, and supporting SAP® integration for automating printing applications. 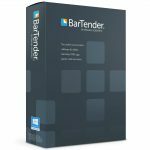 BarTender is the ideal printing software for almost any on-demand printing or marking application, including labels, automatic print and apply, direct marking on parts and packaging, signs, and much more. Learn why thousands of the world’s largest companies and hundreds of thousands of users in more than 150 countries depend on BarTender everyday. Contact Us today for more information about BarTender labeling software, SAP integration, installation and training services, as well as pricing.